My guess is that every writer of sci-fi has his or her special picking fields for ideas. One that I often go to is, ZME Science with their tag line: not exactly rocket science. I love this site for the richness of articles that cover everything from social to biological to astronomical and every thing between. There are so many great ideas out on the Internet to seed the mind of a sci-fi writer. Here is an example and one that is quite interesting and quite resourceful on the part of the researchers; why make the machine that spins the thread, when it already exits. My hat is off to Yingying Zhang and her colleagues at Tsinghua University on this one. It’s about a former nuclear physicist who was fired from the Los Alamos Labs and is now on a federal watch list. He appeases a local barfly by following him to a cave where the barfly claims to have discovered a new species of bat. But what the barfly has discovered is not from Earth, setting the physicist on a crazy plan to save the planet from a hostile alien invasion, a plan no one is willing to listen to and one that will surely get him killed by the FBI, if he’s lucky…. for dying at the hands of the aliens would be ever lasting. As hideous as I have already imagined my aliens, adding in the concept that they now have access to new materials has spurred my imagination to make my aliens even more horrifying. This entry was posted in For writers and tagged graphene, Nanotubes, where do sci-fi ideas come from. 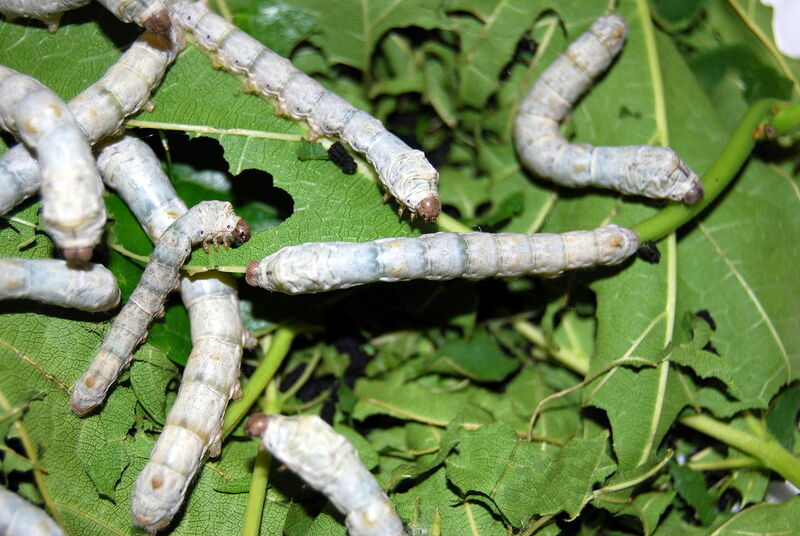 Silkworms by Dave. Bookmark the permalink.